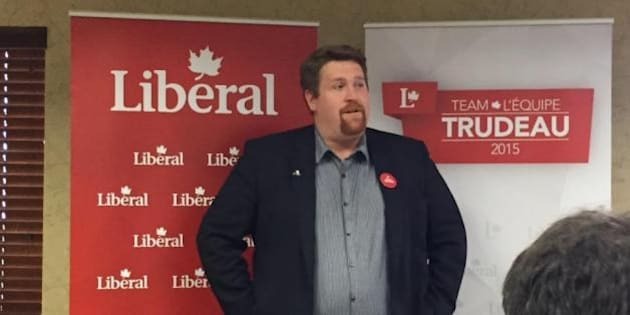 Another federal election candidate is facing the wrath of the Internet after someone combed through his Twitter account and stumbled across F-bombs and a passion for "Glee." But it wasn’t Liberal candidate Chris Brown’s tweets about the TV show that landed him in hot water Wednesday, it was his choice of words about women. The Liberal Party of Canada did not respond to The Huffington Post Canada’s request for comment at the time of publication. Brown is running for office in the Alberta riding of Peace River-Westlock. He was nominated by the party in late August and currently holds a job as communications co-ordinator for Slave Lake. Brown has a degree in journalism, according to the Liberal website. Scrutiny over federal politicians' social media history has increased in recent weeks after several candidates have been forced to apologize or quit their campaigns. Before the writ dropped, Liberal candidate Ray Fox withdrew his name from the ballot after Conservative campaign chief Jenni Byrne accused him of making light of domestic abuse in old Facebook posts. More recently, Bryne has begun to feel ire from Conservative insiders over public criticism about the party’s own vetting process. Two conservative candidates were dumped from the party earlier this week after one was busted for peeing in a mug, and the other for starring in questionable prank videos. Bryne’s campaign strategy has divided the party internally, with some defending her record and others criticizing her hyper-partisanship style. Later that day, NDP Leader Thomas Mulcair defended his communications director Shawn Dearn after two-year-old tweets revealed anti-Roman Catholic comments from his account. UPDATE- Sept. 10, 2015: Liberal Leader Justin Trudeau said he intended to speak to Brown on Thursday. Shortly after, the Peace River-Westlock candidate released an apology.